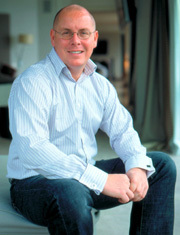 Best known to the world as the notorious Rogue Trader, Nick Leeson cost Barings Bank 860 million and was duly jailed for four and a half years in Singapore. Nick, then 25, had played the markets secretly, and disastrously, in a three year attempt to cover up an initial 20,000 trading error made by one of his own recruits. His personal profit from this escapade was zilch - and never intended to be otherwise. For many people (as seen in the movie of his colossal crash starring Euan Mcgregor with Anna Friel as his wife Lisa) Nick’s flight into hiding and subsequent headline-news capture (1995) spelled the end of a sensational, modern morality tale. But icon now takes up the sequel in which Nick lost his wife’s love, contracted colon cancer and underwent treatment in circumstances so harsh that they would have defeated many with a mere cold. Nick, however, fought back to full recovery, and has since redeemed himself via charity work, a psychology degree and a second marriage to Irish beautician Leona Tormay, whose children, Kersty eight and Alex, four, delight him as a ready-made family. No self-respecting novelist would have dared invent a Nick Leeson to saddle with a series of extreme life disasters - notoriety, criminal charges, prison, divorce and cancer that ended not in tears but a new beginning. The whole saga sounds simply too far-fetched, yet here is Nick, enjoying big-screen football in a Galway, West of Ireland pub like any regular guy who has never contemplated Changi Jail or chemotherapy. It’s the week after his psychology finals and two days before his wedding to Irish beautician Leona. Now gym fit and pink-cheeked, Nick’s also looking forward to receiving the all-clear in August - "exactly five years since I had emergency surgery to remove a third of my colon and a large tumour, seven by ten centimetres". Colon cancer, Nick believes, developed from a cocktail of causes. "My lifestyle as a Singapore trader must have played a part. The three years when I was concealing what I was doing at work was very stressful. I suppressed everything, compartmentalising my life at work and at home so Lisa knew absolutely nothing about it. Also my diet at that time wasn’t great. I was eating out a lot in fine restaurants in Kuala Lumpur and my alcohol and sweets consumption increased with the stress. I weighed 82 kilos when I arrived in Singapore rising to 90 when I was arrested. Admittedly I’m heavier than that now, but a lot of it is upper body strength." Compounding this none-too-wholesome lifestyle was a heavy genetic thread; Nick’s mother died of lung cancer when he was only 20. His father, a plasterer, has myeloma, diagnosed after Nick himself fell ill.
Prison itself was not exactly kind to the immune system: "I’d steeled myself to cope, but it was a hard existence, locked up with two others in a tiny cell 23 hours out of 24. Cellmates belonged to rival gangs, and when fights broke out you inevitably got drawn in. You slept on the rough concrete floor; breakfast was three slices of bread and the other meals, monotonous rice with a bit of chicken or vegetables." The worst period - worse even than cancer, Nick insists - was the seven months between March and October 1996, when Lisa’s visits and daily letters dried up: "In prison you really need something to hang on to. That something was my relationship until suddenly I didn’t know what was going on between me and Lisa. Eventually I wrote offering a divorce and after two weeks she replied, saying yes. Then, at least, I could move on." Time in prison passed so slowly that sometimes Nick retreated into the pages of crime thrillers to speed it up. In his exercise hour he ran round the prison basketball court "probably 100, 120 times, that’s 10, 11 kilometers. You’d totally exhaust yourself, go back to the cell do some push-ups, squats, some weightlifting with your water bucket. I lost 10 kilos." Which in itself may have been suspicious. But for Nick, the first indication that something was wrong came early in ’98: "I would get dizzy standing up and have to lean against the wall. The prison doctor just said I was getting old - I was 30 at the time! I then spent a month in solitary having refused to change cellmates yet again, just when the men in with me were getting on. And that’s when the diarrhoea started. When I came out people started to say how much weight I’d lost: for the first time in my life I could see my stomach muscles. I thought I looked pretty healthy!" The bowel looseness persisted for six months, which Nick ascribed to his diet. "A blood test indicated I was anaemic, so the doctor prescribed iron tablets. Obviously in prison, I wasn’t going to have the best possible care. I had repeat blood tests but the fact that my haemoglobin levels were dropping month by month was attributed to the anaemia. If only I’d known more about cancer symptoms at the time, I’d have pressed the doctor to send me to hospital. I’ve read a lot since and it seems that in the first six months of any cancer the patient may misread what is happening while the second six months is likely to involve GP misdiagnosis. So you can be 12 months down the line and taken from a stage that can be cured or at least coped with to something that could be fatal. That’s why it’s important to educate people." Nick also started to have stomach pain, which his doctor put down to the iron. "I’d wake up to pass urine five or six times a night and I was always hungry, borrowing extra bread but putting on no weight." It took a minor mutiny, risking more time in the punishment cells, before the doctor acknowledged he didn’t know what more to do, and sent Nick to New Changi Hospital. "I arrived in A and E chained hand and feet, where the medic immediately felt a lump in my stomach. I was admitted to the prison ward for more tests." Nick’s never going to be feted for services to banking: he’s the first to own that the Rogue Trader tag will stay with him lifelong. But he deserves due recognition as a master of endurance: coping with cancer is hard enough when you are supported by gentle nursing, soothing surroundings, friends, family, flowers and tic. Nick had none of these -chained to the bed, with nothing to read, he had to appeal to slow-responding armed guards whenever he needed the bathroom. One fellow patient had AIDS, several others TB. "A fun ward" Nick wryly reflects. Admitted on July 30, ’98 he was at first thought to have Crohn’s Disease. CT scans were eventually followed by endoscopy "and I came round from the sedation to see a mass of colours - my tumour - on the monitor. That’s when they told me I had cancer. I went straight back to sleep and when I woke again, wondered whether I’d really heard right because it was all so hazy." Surgery was scheduled for August 11th. But high drama intervened: "On the 9th which was Singapore’s National Day, I felt very nauseous. I couldn’t pass anything and my stomach became more and more distended. I was crying out for a knife to cut out the tumour myself. Eventually the distension was so great that my lung collapsed - and so did I. Prison staff were summoned because it appeared that I was going to die though for once in my life I wasn’t rational enough to know what was going on." Nick awoke in intensive care where he spent three days on morphine (though still under armed guard). Ten days later he was back in his cell, sleeping on concrete and struggling to sit up as 38 staples had just been removed from his lengthy incision and his stomach muscles had been severed during surgery. "I was now given a cell on my own as a privilege, just when I needed some help around" says Nick. "But a new prison doctor referred me to the sick bay where at least I had a steel bed (still no mattress), superior showers and double rations of meat and veg." At least says Nick, the massive media exposure had worked in his favour "prompting the authorities to give me the best medical care they could. My surgeon was one of the best in Singapore and my oncologist had studied at Cornell in New York and apparently looked after President Lee Kuan Yu." Nick was told that there was a 60 per cent chance of him surviving for five years "which I couldn’t really get my head round at the time. My thought was that if perhaps I had only one year to live, then let’s get out of here and back to my family. My lawyer in London started to work on early release. It was a battle we fought and lost because the doctor told government that my chances of survival were now up to 70 per cent and getting better all the time." Chemotherapy, Nick was assured by Dr Wong, his oncologist at National University Hospital, would up his chances by a further 10 per cent. But Nick wanted none of it, not if it meant being chained to hospital beds again "which I told the prison superintendent, I wouldn’t do to a rabid dog". The prison produced papers to prove this was proper procedure and warned Nick that he was playing with his life. "But they already knew that I could be very stubborn." Two days later the prison capitulated and sent their celebrity patient off minus shackles. Chemo lasted six months - five days on, three weeks off - and although he’d been warned he might feel very poorly, Nick weathered it well, with the help of anti-nausea drug Odensitron. "I went into chemo determined that whatever they said, I was not going to get sick. I really believe that having chemotherapy in the afternoons was the key for me. It meant that even if I couldn’t eat anything for the rest of the day, I was over the sickness by breakfast next day. I was also able to exercise in the sunshine every day before the chemo, which I believe helped it circulate through my body before being sweated out. They were a bit worried in the first few weeks as you are supposed to me more susceptible to sunburn during chemotherapy, but I wasn’t out in the hottest part of the day and I enjoyed the physical exertion. Through this regime I was able to put on weight every month, which is quite unusual. If strong-mindedness played a big part in Nick’s recovery, a little American book called Chicken Soup for the Surviving Soul merits mention too. "It’s full of cancer success stories, and was sent in to me by a friend from Thailand. I’ve searched but so far not found it in the UK." Finally released in ’99, Nick enjoyed a "fairly hedonistic first year" seeing friends and family but also continuing his cancer treatment: "My lawyer researched the best doctors in the field for me and found Bill Heald and Dr Moran at the Hampshire Clinic, Old Basing. "At that time I had fairly intensive checkups but when Mr Heald suggested scaling down to coionoscopy every two or three years, I felt the need for more. I wanted a CT scan every three months as I’d had in Singapore. I wanted my blood tested regularly and a colonoscopy once a year. I don’t suppose the NHS would be happy to support this, but as I’m paying (Nick has found a niche as an after-dinner and conference speaker, and so paid his way through university despite being obliged to repay half of all earnings to Barings) I can have it. Tests so far have never shown any problem, apart from a polyp, which was cauterised during colonoscopy. I was in training for the London Marathon at the time, so I went jogging the next day which wasn’t clever as it bled a lot and I was back in hospital for a week." Nick actually ran the 2000 Marathon against medical advice: "My doctor said that anybody over fourteen and a half stone (which I still am) would find it too heavy on his knees. My knees certainly hurt for a few weeks afterwards!" But he determined to raise money for both Colon Cancer Concern and the Linda Jackson MacMillan Centre in Middlesex where his father’s myeloma is treated. Nick says he will do pretty much anything for charity, and sees fund-raising golf days as "pure heaven" though recent studies have rather ruled them out. Settled in Leona’s Galway home since the start of this year, Nick still runs on the sea front, walks the dog daily and maintains his cardiovascular workout in the gym. But to some degree this is virtue to counteract dietary vice: Nick is not about to sacrifice his Guinness or the odd steak sandwich: "When I saw Dr Wong before leaving prison, he advised against cakes and ice cream, red meat and egg yolk. Mr Heald however thinks you can have everything in moderation and that’s the path I follow. Luckily I do also like fruit and fresh salad vegetables. I don’t have much dairy and I do go through periods when I don’t drink at all. Everybody has their own fighting formula, and mine includes not changing my life that much. I’m of the mindset that cancer must not take you over and control your life. I do believe that the more positive you are, the greater your chance of survival. "During my illness, I did have days when certainly I considered dying, and those thoughts do recur perhaps just for a moment, when you catch some news on TV or see a cancer collection box. But those moments are very few. That’s not to say I don’t fear dying - I do, in that I fear losing life especially now with my new marriage. But I’m far healthier now, being in a happy relationship with Leona and the children: happiness and security are definitely on an upward curve. As I’ve had chemotherapy Leona and I don’t yet know whether we’ll have children of our own, but it’s already special to have Leona’s." Nick now wants to give something back as a cancer therapist and he’s looking into further training possibilities. "Cancer is really where my interest and experience is. I’d like to raise popular perception of symptoms and change the way many people see their illness." Whilst his own official all-clear won’t come until August, Nick looks to the future with the bullish confidence that has almost always sustained him: "I’d say I’m clear now. I’ve not had anything wrong with me for five years and apart from checkups, I’ve not seen a doctor once in that time." 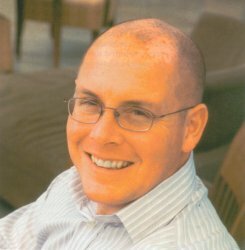 Planning to work with patients, Nick Leeson is clearly not denying his own past: "In many ways cancer is life defining but I’ve had so many life-defining moments between the ages of 28 and 35 that sometimes I quite forget about cancer. I think I have a long life ahead of me - so it’s not a case of waking up every morning to smell the flowers. It’s far more mundane than that - it’s getting the kids dressed for school, walking the dog - all the normality that’s so important if ever you lost it for a while with cancer." Nick’s advice to others is never to bottle up stress as he himself did: "You need to talk and express yourself as I now do to Leona. With cancer as with other problems, it’s amazing how adaptable human beings are, and you will be able to cope provided you keep a strong frame of mind. I know that whatever is in front of me I can now overcome. The "Big C" as it used so fearfully to be called can be all-encompassing and overcome you. Or you can muster the inner strength to believe you can co-exist with, even master it."